Do U.S. Muslims Condemn Terrorism? 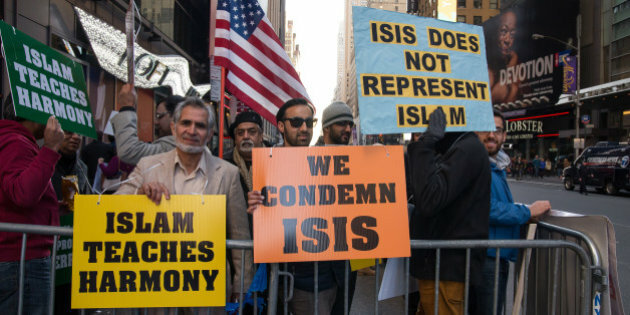 Recently, Muslims in the United States have been accused of being sympathetic to – or outright supportive of – acts of terrorism carried out in the name of Islam. For instance, a 2018 report issued by the Department of Justice and Department of Homeland Security pictured Muslims as potential domestic terrorist threats. President Donald Trump used Twitter to amplify the report’s claim that three in four individuals convicted of terrorism-related charges are foreign born nationals. Years earlier, in a CNN interview during the presidential campaign of 2016, Republican candidate Donald Trump claimed that US Muslims do not report people like Omar Mateen, the murderer behind the Pulse nightclub shooting in Orlando, Florida. Trump ally Franklin Graham echoed this claim in a USA Today op-ed, stating that tens of thousands of US Muslims are not bashful about justifying suicide bombers in the name of Islam. These claims insinuate that Muslims are either silent or complicit in the face of violence, extremism, and terrorism executed by their co-religionists. Is this the case? In short, no – the facts paint a different picture. US Muslims do condemn acts of terrorism and political violence in the name of Islam. My forthcoming book, Muslims in America: Examining the Facts, explores the veracity of this – and over thirty-one other – controversial claims or beliefs surrounding the Muslim population of the United States. Other falsehoods, half-truths, and misconceptions explored in the book include whether US Muslims are responsible for the majority of terrorist attacks on US soil and whether Muslims prefer to be governed by the Constitution rather than sharia. In regards to Muslims denouncing terrorism, their condemnations have been collected and documented by Muslims Condemn, a database of all the cases where Muslims have condemned acts of violence done in the name of Islam. Starting as a 712-page Google spreadsheet, Muslims Condemn turned into a website to show people how weak the argument is that Muslims do not condemn – or care about – terrorism.